You are now standing where the Commandant’s quarters were located. 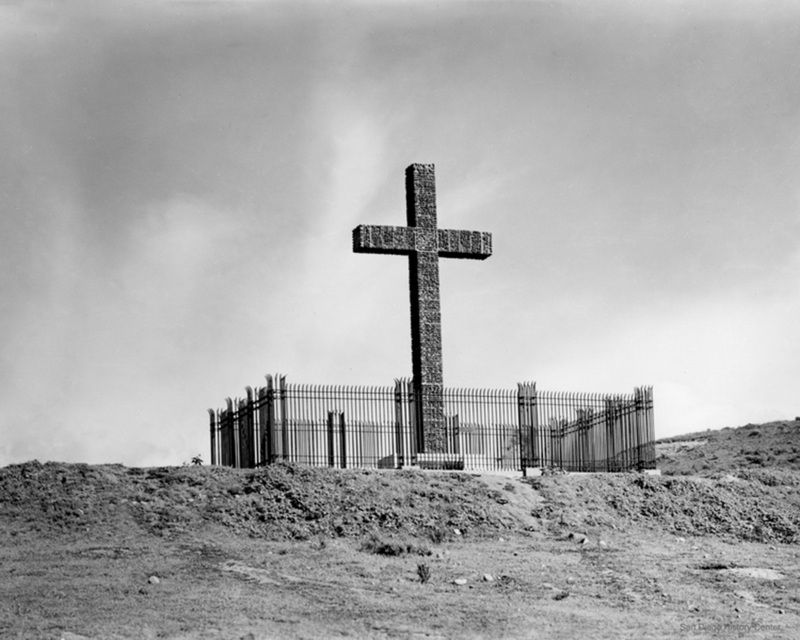 The commandant was in charge of the protection of the Presidio and its inhabitants. 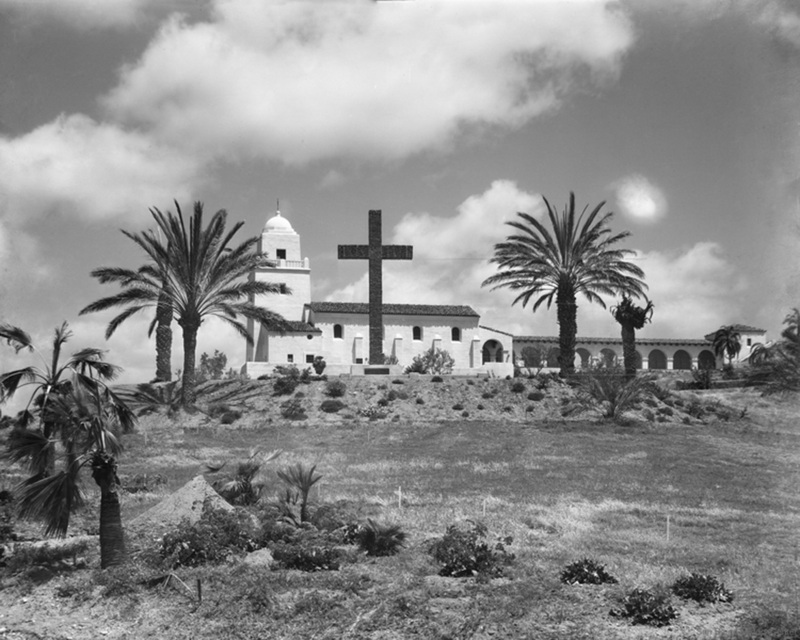 The Presidio also provided defense for missions across Alta California, including Mission San Diego de Alcalá which is located about seven miles east in Mission Valley. 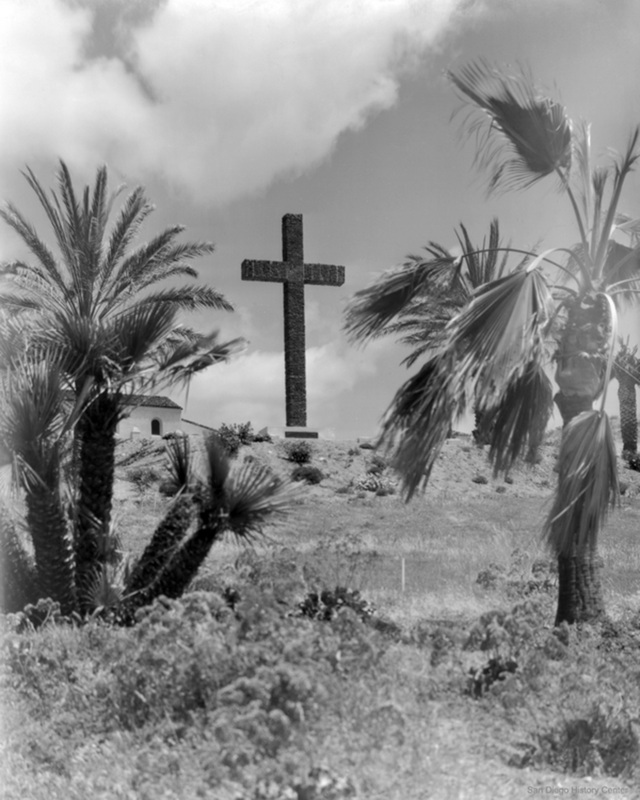 While early 20th century Americans thought this was the site of the Spanish chapel and placed the large adobe cross here in 1913, archaeological excavations in the 1960s uncovered the chapel elsewhere in the park. Since there has not been a comprehensive excavation of the site, there is still room to learn more about the Presidio and discover new things! How the Gate Area looks in 2018. You can rotate your device to look in 360 Degrees or use any Virtual Reality headset.